MACCO helps you to confidently realize your personal renovation aspirations. From your first consultation with us until project completion, our designers, expert craftsmen and experienced crews listen to what you want and are always considerate of your time and your budget. We call it "extreme project management." You'll call it amazing! 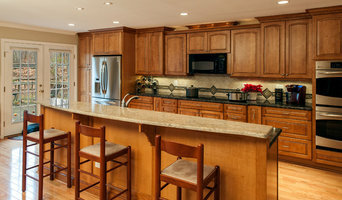 Dream Home Contractors, is DC, Virginia & Maryland's premier General Contractor. Our experience and team of professional, skilled employees set us apart from others. We are your one source for complete design, management and completion of all remodeling and property development projects. 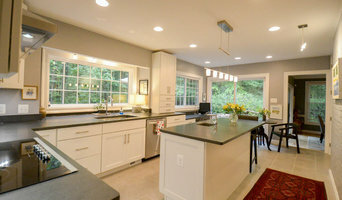 Remodeling your home can be an exciting endeavor only when, you've hired the right team of professionals. At Dream Home, we understand that our excellent craftsmanship alone is not enough to consistently create happy clients and successfully complete our projects. So only by combining craftsmanship, quality materials, and having an organized team of professionals, then only can a remodeling expert consistently have satisfied clients, like we do. You can count on Dream Home Professional Contractors LLC for expert advice and outstanding design services on all your remodeling projects. Since 1988, J&L Company has been providing maintenance, repairs and renovations to homes and businesses. From a sole proprietor, since 1986, to a corporation in 1988. Jose Lopez Enterprises has been in business for 31 years. At J&L Company, we are focused on providing services with the highest levels of customer satisfaction - we will do everything we can to meet your expectations. With a variety of offerings to choose from, we're sure you'll be happy working with us. From 2006-2018, Paragon Remodeling, Inc. received national recognition as a Top Remodeler by Qualified Remodeler Magazine for their outstanding home remodeling and construction services in Northern Virginia, Maryland and Washington, DC. 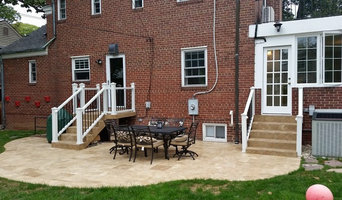 We specialize in deck construction, patio building, window replacement, roofing, siding replacement, sunrooms, painting, kitchen remodeling, bathrooms, basement remodeling, additions, and even full-on construction. We have been offering home improvement services in the Annapolis, Maryland area for more than a decade, and our handyman experts have more than 30 years of combined experience. 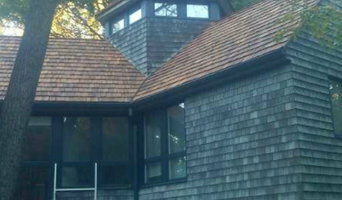 We know how to quickly and efficiently repair and improve just about any part of your home. From attics to basements, we will use our thorough home improvement knowledge to finish all of your home repair and improvement tasks with minimal disruption to your day-to-day life. Our contractors can make any part of your Annapolis, Maryland home look new. Not only do we have substantial experience remodeling kitchens and bathrooms, but our contractors can create or restore au pair or nanny rooms, in-law apartments, laundry rooms, basements and bedrooms. We can handle every step of the home remodeling process from ceiling to floor. Our consultative approach to each home allows us to carefully determine what each remodeling project requires to turn the space into the room you imagine. The Handy Husband Contractors can handle all of the woodwork for your Annapolis, Maryland project, and install any tile or wood flooring and finish everything up with a clean coat of paint. The first step to getting those home repairs and improvements completed is contacting us. Give us a call today to learn more about all of our repair and remodeling services! Service Hours: Monday – Thursday, By Appointment Only Friday-Saturday, 7 a.m. – 2 p.m.